Orlando, FL. August 30, 2017 - Forget about Nashville. If you want to find the heart of country music, then you need look no further than Orlando, Florida! For the third straight year, RP Funding CEO Robert Palmer welcomed country music fans across Central Florida to K92's All Star Jam. The 22nd annual event was held on Monday, August 28, 2017 at Hard Rock Orlando located in Universal CityWalk. Featuring live music from great rising country artists, the one-night-only concert helped raise money for Ronald McDonald House Charities of Central Florida. Country music fans got the chance to experience the best and brightest talent Music City has to offer, including acclaimed hit-maker and Winter Haven native Jake Owen. Other acts of the night included Maren Morris, Parmalee, Kane Brown, Luke Combs, Ryan Hurd, Midland, Carly Pearce, Seth Ennis, RaeLynn, and Runaway June. Before the show, featured acts participated in a meet-and-greet with special VIP guests during the HomeValue.com Soundcheck Party. Through the power of community (and the ticket sales of all who attended), the 2017 K92.3 All Star Jam was able to donate over $57,000 to the Ronald McDonald House Charities of Central Florida -which provides temporary housing to parents and families of ill children. "We're thrilled with the support of RP Funding," said Ronald McDonald House Charities of Central Florida President/CEO, Lou Ann DeVoogd-whose first introduction to the company was when Robert Palmer sponsored the RP Funding Stage and presented the charity with a check at the 17th Annual K92.3 All Star Acoustic Jam in 2012. 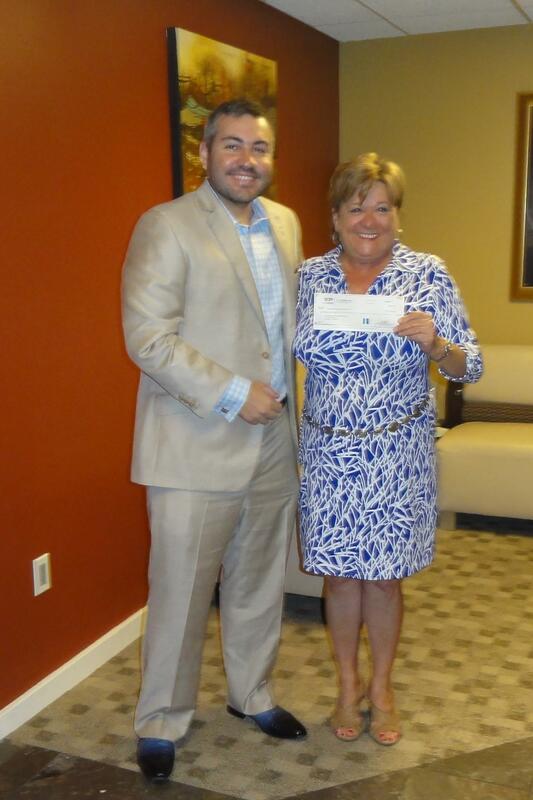 Robert Palmer presents Lou Ann DeVoogd with a $10K donation to benefit the children and families served by Ronald McDonald House Charities of Central Florida. "Since then, (Robert) has increased his commitment double, triple, and ten-fold," DeVoogd added. "He's also really recognized the importance-beyond the financial gifts-by extending his team to us. It's a fabulous growing partnership and we look forward to getting on stage with him at the Jam!"